Busy, buzzy planet Mercury comes to a halt and turns retrograde on June 7, initiating its 3-week reverse cycle in Cancer and Gemini that finally ends on July 1. Communication usually gets complicated by delays and misunderstandings during Mercury Retrograde, travel troubles and technology snafus are more common during this period ... and we can expect that doubly when Mercury backtracks into its home-sign of Gemini on June 17. Double-check details and use this period of review and reflection to tie up loose ends before taking on major new projects. Remember, if you need help making decisions during this confusing time, you can always get clear answers for any situation you face with a Yes or No Tarot reading. Look up your sign below to find out how Mercury Retrograde will affect your zodiac sign! Finishing off home projects and dealing with family matters are highlighted when Mercury turns retrograde in your domestic 4th House of Home and Family on June 7. The messenger planet backs into chatty Gemini and your communicative 3rd House of Information on June 17, making this a good time to reconnect with people who've been out of touch, revise documents, and review and refresh your education and training. Messages may get muddled, especially when it comes to emotional issues, as verbal Mercury turns retrograde in sensitive Cancer and your communicative 3rd House of Information. This shift gives you a second chance to think through and talk over delicate personal matters. Reviewing recent financial decisions comes to the foreground when Mercury backs into your 2nd House of Resources on June 17. Your ruling planet's reversal in your 2nd House of Resources is the right time to start double-checking finances. You may need to rethink a major expense or even return a costly item. 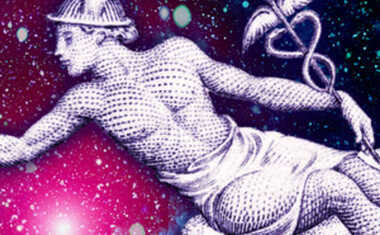 But this Mercury Retrograde period also can reawaken useful abilities and interests from your past. Old hobbies, skills and areas of study that have fallen by the wayside could make a profitable return to you now. Communicative Mercury's reversal in your sign is a signal that it's OK to change your mind. Rethinking commitments and new projects gives you a chance to back out or dive back in with a clearer sense of how to reach your goal. You might also consider making a change of look with this reversal in your 1st House of Appearance, perhaps updating an old style from your past. Ghosts from the past may show up with communicative Mercury Retrograde in your 12th House of Secrets. It's wiser to face the truth than to keep vital information hidden. But this retrograde period can also revive spiritual interests and creative impulses. Take the time to let your mind wander, because it's when you let go of a mental picture or a plan that a more inspiring one appears. Your logical ruling planet's reversal occurs in your 11th House of Groups, where it can stir up complications with friends and colleagues. Emotions can easily overcome reason, but you can't ignore feelings even when you're in your professional place. Quiet conversations with co-workers can go a long way to smoothing out longstanding problems, reducing stress and increasing cooperation. Professional matters require rethinking and a delicate touch with Mercury's reversal in emotional Cancer and your 10th House of Career. It's better to face the facts and clean up any mistakes with a boss or in a position of authority than to hide or deny a problem. Addressing delicate situations and dealing with your own feelings honestly will help to stabilize your status at work. 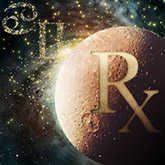 Travel and educational plans could require some rethinking as brainy Mercury turns retrograde in your 9th House of Higher Learning and Faraway Places. This reversal period is also a time when you can reconnect with beliefs that once moved you emotionally but have faded with time. Returning to religious or philosophical truths with newfound faith is a powerful motivating force. Intimate relationships in your personal and business life need to be handled with care during Mercury Retrograde. This reversal occurs in your 8th House of Deep Sharing and the tender sign of Cancer. Listening carefully and reading between the lines show the empathy and understanding required to restore vital partnerships. You can recover lost trust with truth and kindness. Relationships that have gone off track are ready for repair while Mercury is retrograde. The communication planet turns backward in your 7th House of Partners, where extra effort is required for understanding others. Don't take what you hear literally, because this turn starts in sensitive Cancer, where the tone of the words and the feelings behind them reveal their real meaning. Systems may be shaky with Mercury Retrograde in your 6th House of Work, Health and Methods. Maintenance of your body, skills and equipment is a way to ensure your physical and professional well-being. You may need to make some adjustments on the job, perhaps even redoing a task or learning to improve your technique. Taking a step back now gets you ahead later. 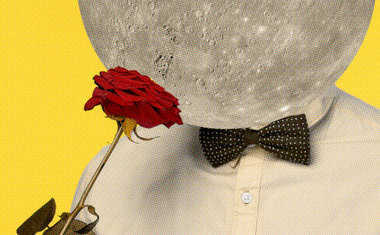 Creative and romantic issues may need some adjustments with Mercury Retrograde in your 5th House of Self-Expression. Your feelings may be misunderstood, perhaps due to a lack of clarity on your part. In any case, this is a time to consider where you want to invest your heart and your artistic abilities. Untangling old issues now will clear the way to feeling freer in the future.